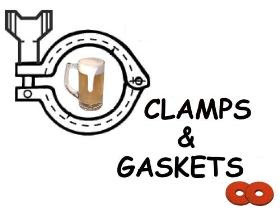 Clamps & Gaskets: News Roundup for Weeks 25/26, 2013. The world’s top 10 beer brands, and Budweiser is only #1. Snow, from China, at top position. Via Brookston Beer Bulletin. Scientists Seyffert, Tullo, and Claussen, and their discovery of brettanomyces yeast in the late 19th and early 20th centuries. Via Ron Pattinson. Craft beer guru Charlie Papazian finds Washington, D.C. to be an emerging beer city destination. Via Examiner. Supreme Court strikes down parts of Defense of Marriage Act. Via Washington Post. California wine-makers re-discovering "elegance, subtlety, and freshness over power." Via Dave McIntyre in Washington Post. Why wine judging is wildly inconsistent. How higher-order information impacts sense of taste. Via Priceonomics. A map of U.S. beer consumption, state-by-state. Via Brookston Beer Bulletin. On 31 May 2013, the number of American breweries reached 2,514, as reported by the Brewers Association. Great American bluesman Bobby 'Blue' Bland dies at 83. Via eMusic. The 'Super' Moon of 2013. A photo over Memorial Bridge in Washington, D.C. What it is, via Capital Weather Gang. Beer is malt, hops, yeast, and ... and (don't forget the) water. Via NPR Food. "Malt is the quiet soul and foundation of beer." Malt varieties for craft brewers, via Beer West Magazine. June Solstice: sun's zenith is at its furthest point from equator. Via Time and Date. 19th of June also known as "Juneteeth." On this day in 1865, American slavery was eradicated. Via Smithsonian Magazine. Blogger predicts that seasonals and one-off beers will replace brewery 'flagships.' Via Top Fermented. 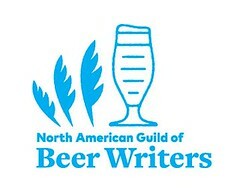 Members of the American Homebrew Association vote for best commercial beers in U.S. All but one of top 10 are IPAs. Via American Homebrew Association. More analysis by Andy Sparhawk at craftbeer.com. 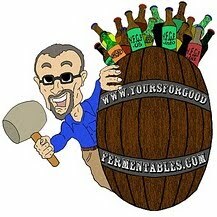 Is knowledge of a beer (style, production, yeast, brewer, etc.) necessary for enjoying it? Not necessarily, writes Czech blogger Pivni Filosof.